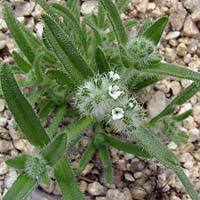 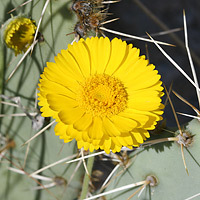 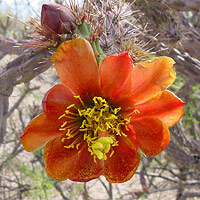 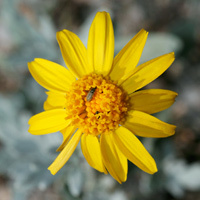 Listed below are some of the most common southeastern Arizona wildflowers. 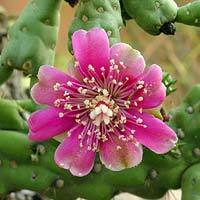 These are the flowering plants that you are most likely to see when visiting here because of their abundance, wide dispersal, long or multiple blooming seasons, plant prominence and distinctiveness, and their location near our larger cities. 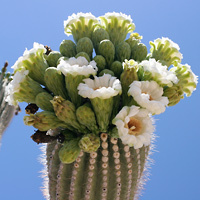 Even when not blooming, the five species of cacti pictured here can be easily observed.